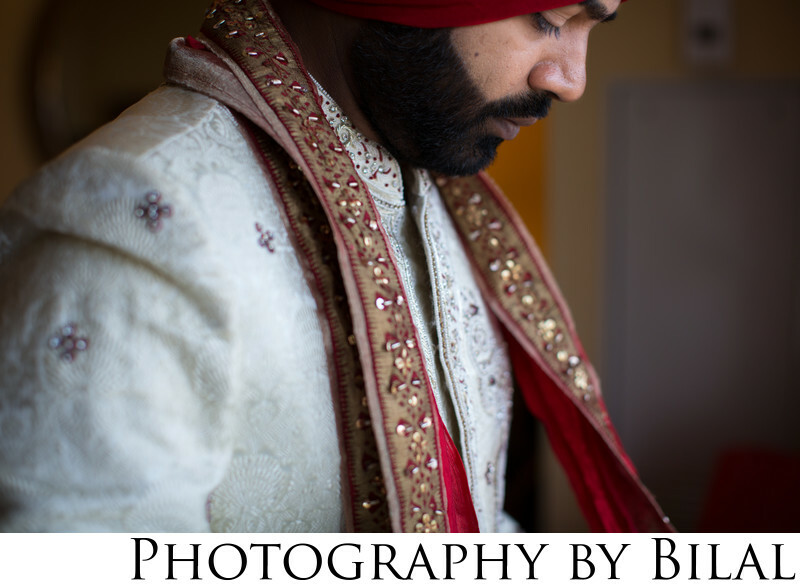 This sikh groom looked quite dapper on his wedding day. I shot his getting ready photos while working with another photographer. I really like the framing of this photo - as a wedding photographer it takes some experience to learn proper framing of a shot. This wedding was in NJ at the royal manor. Keywords: indian wedding (51), NJ indian wedding photographer (48), NJ punjabi wedding photographer (45), NJ sikh photographer (45), NJ wedding (63), nj wedding photographer (81), punjabi wedding (45), royal palace wedding (45), Sikh wedding (45).